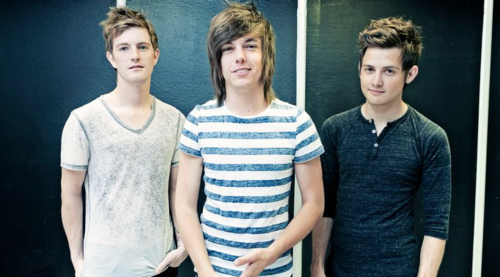 Artist Vs Poet have announced some exciting news for all of their fans recently. The group are ready to start writing a new EP and LP with the help from various sources out in Los Angeles. The entire statement from the group can read below so check it out! “Many of you know that we recently moved from Dallas Tx to Los Angeles Ca and that the purpose was to get Artist Vs Poet back in full swing faster. Since we have been here some amazing things have already begun to unfold. Not necessarily in the exact way we had imagined them but when one door shut another seemed to open immediately. One of the doors that opened was meeting a talented producer/singer/songwriter kid named Mat Musto also known as Black Bear, with whom some of you probably already know. We also met an equally as talented producer/songwriter who goes by Griffin Beats. Unfortunately because of the recording schedule and time frame of completing TWO ALBUMS we will no longer be able to fly home and play Unsilent Night 4. WE ARE INSANELY BUMMED.We tried our best to work it out where we could both play the show and record the two albums but it just wasn’t a possibility. WHAT IF YOU BOUGHT TICKETS TO SEE US AT UNSILENT NIGHT? unreleased single “Wasn’t Worth It”. Thanks for all the continued support and new support. New music and shows are soon to come so stay tuned.